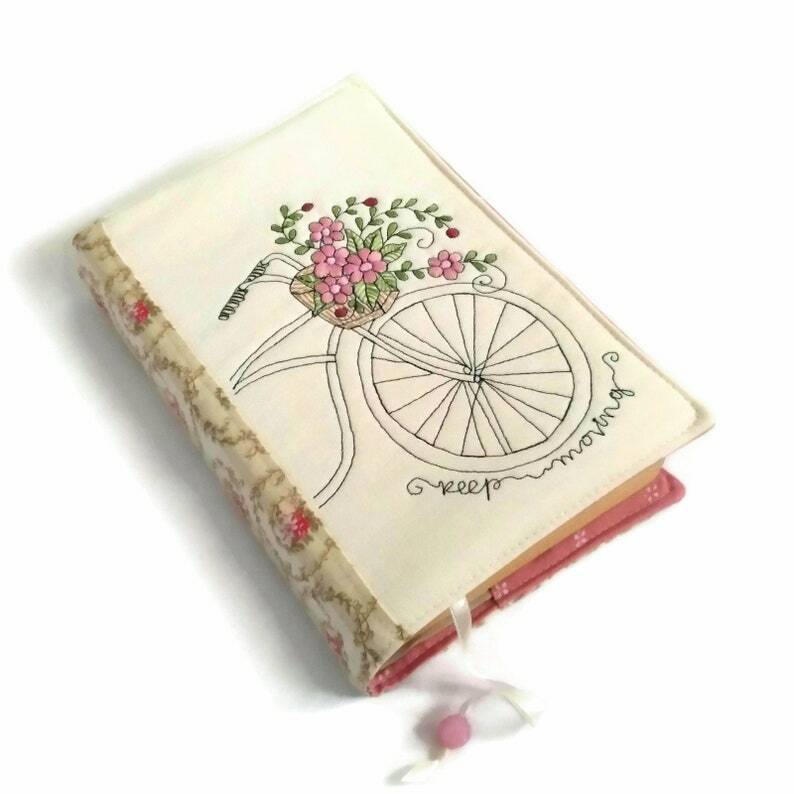 Romantic handmade diary cover with embroidered bicycle and flowers made entirely of high quality cotton fabrics. This beautiful fabric book cover is machine-sewn and hand stitched. All the different colors on flowers are hand embroidered with colorful threads. It’s fully lined with a pink cotton fabric. This A5 travel journal cover has a short Inspirational Quote "Keep moving" (part of Albert Einstei quote: Life is like riding a bicycle. To keep your balance, you must keep moving).